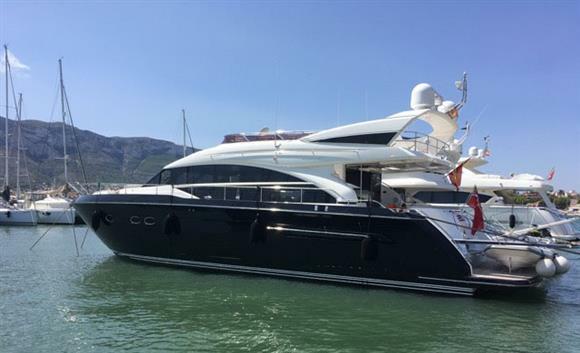 Princess 68 from 2015 equipped with 2x1200 hp MAN.Boat in perfect conditions.4 double cabins plus crew. 4 double cabins with 3 bathrooms. Main cabin full beam with double bed and bathroom, Vip cabin at bow with double bed and bathroom, guest cabin with 2 single beds and 4th cabin with 2 beds convertible to double bed and 3rd bathroom. Aft crew cabin with 2 beds and bathroom with separate shower. Large saloon with separate dining table and equipped galley.